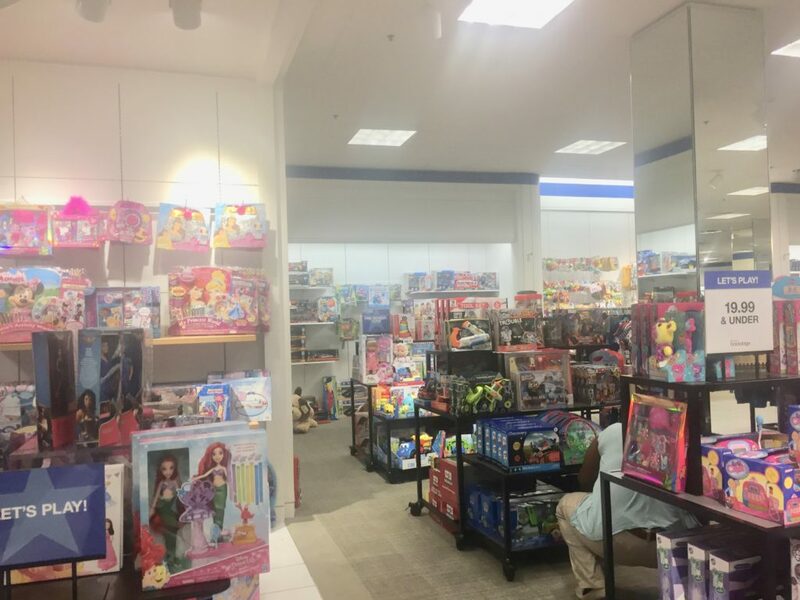 Last Sunday, I had the opportunity to check out Macy’s Backstage at Fair Oaks Mall in Fairfax, Virginia. 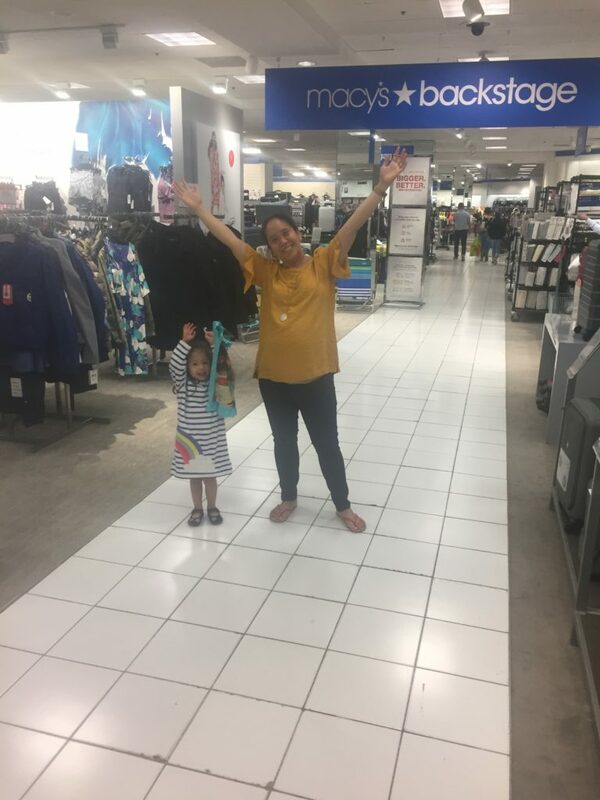 Macy’s Backstage is Macy’s new outlet store that offers fashion-loving customers another way to shop at Macy’s store by providing a store-within-store shopping experience featuring significant savings on fabulous and frugal finds. 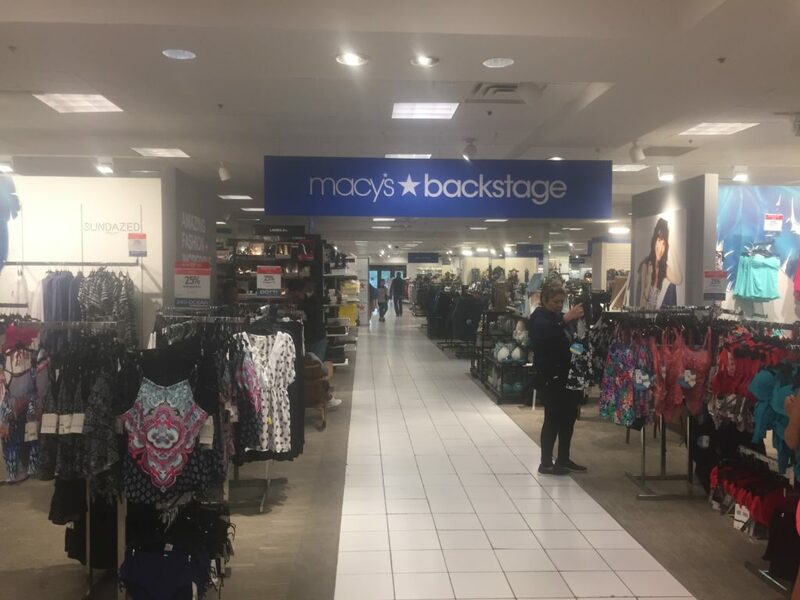 Macy’s Backstage is located on the second level of the mall in Macy’s and has dedicated 14,000 square feet to retail. 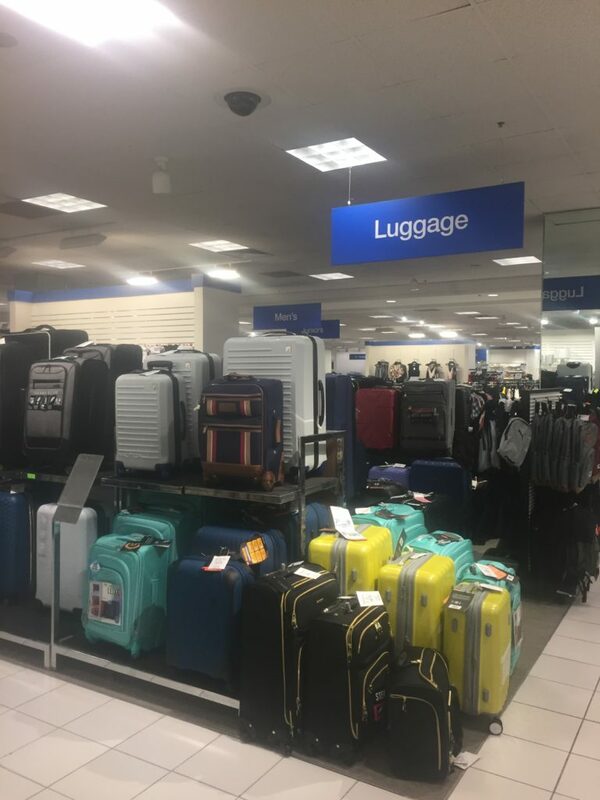 I was surprised to see how many deals and steals this store offered shoppers – house decor, kids toys, luggage, kids clothes, men’s clothes, women’s clothes, and shoes for everyone. 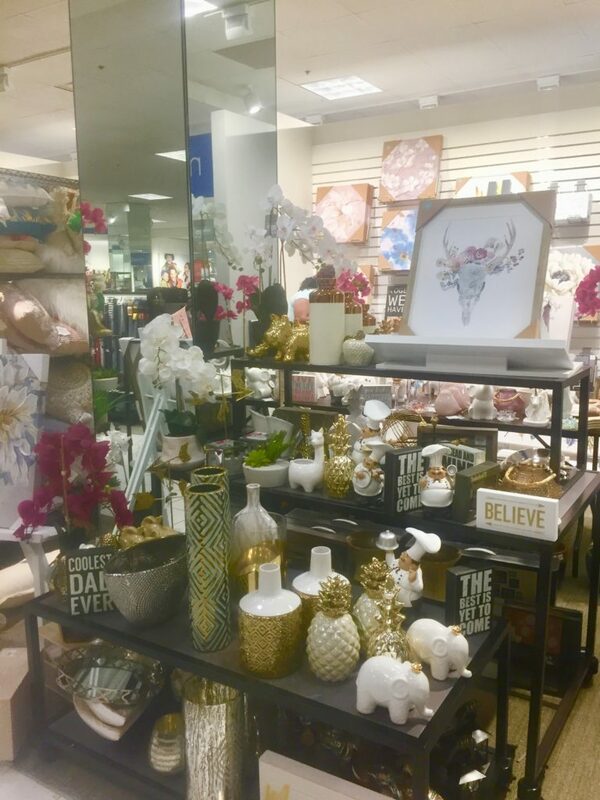 The store reminded me of a TJ Maxx and HomeGoods combined. Of course Ava wanted to get in on the action! 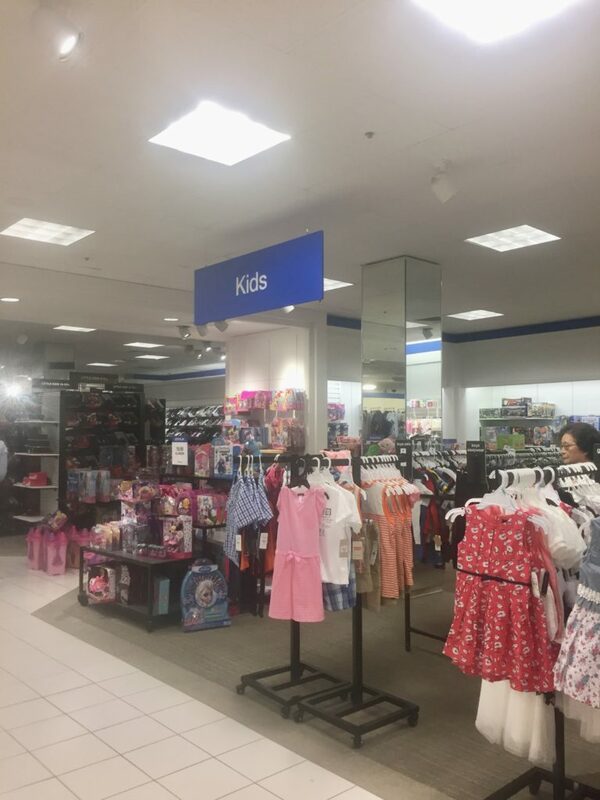 I found the sales associates, known as the Backstage Crew, to be very helpful, friendly and cheery. 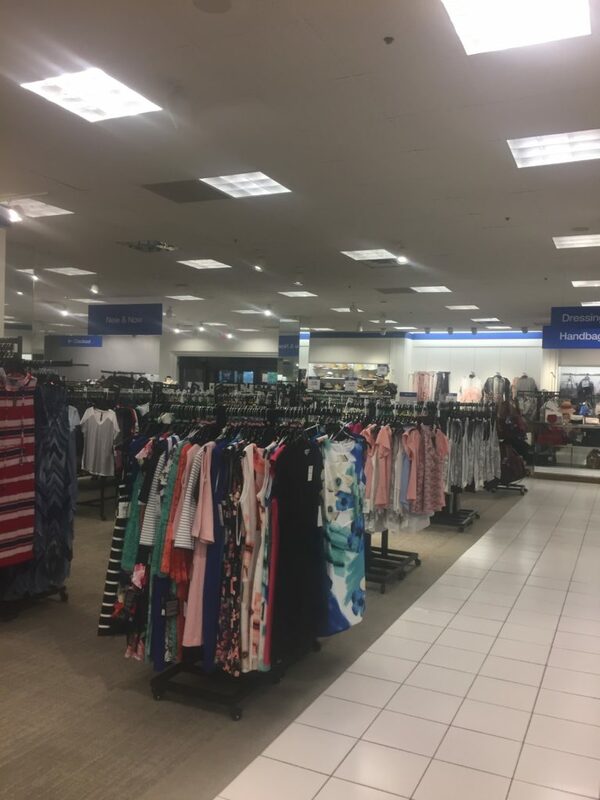 There are several convenient amenities like time-saving mobile check-out stations and three-way mirror installations in the fitting rooms. 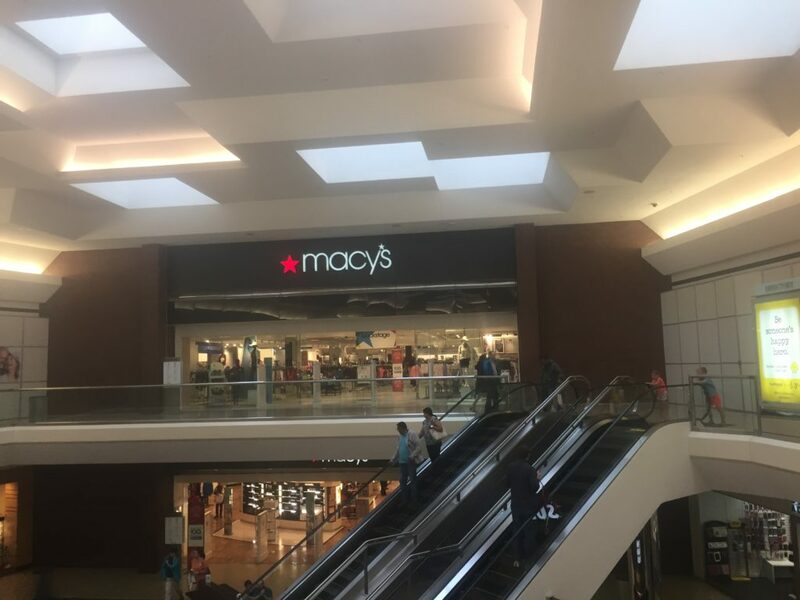 Shoppers can use their Macy’s credit card and earn and redeem Star Rewards at Backstage locations, creating a seamless experience for those shopping at both Macy’s distinct department and outlet store brands. 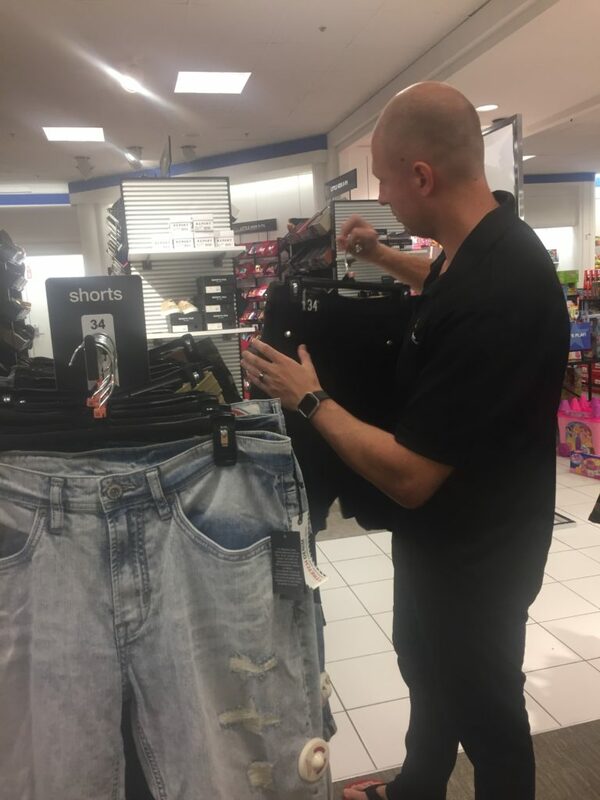 “Backstage’s focus on value and newness guarantees that with each visit, shoppers will find an amazingly-priced assortment of recognizable brands and trends. 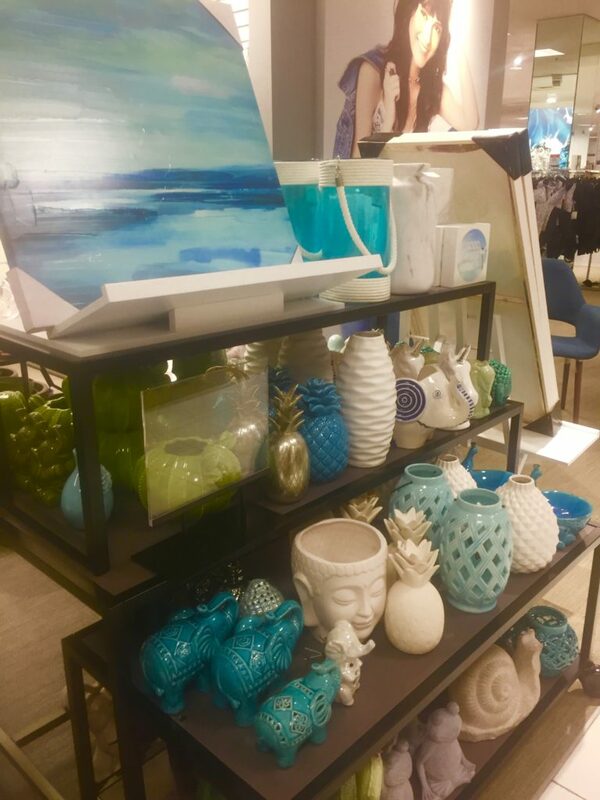 Frequent deliveries ensure there is always a new reason to come in and shop,” Macy’s Senior VP Michelle Israel stated. I totally agree with her statement. 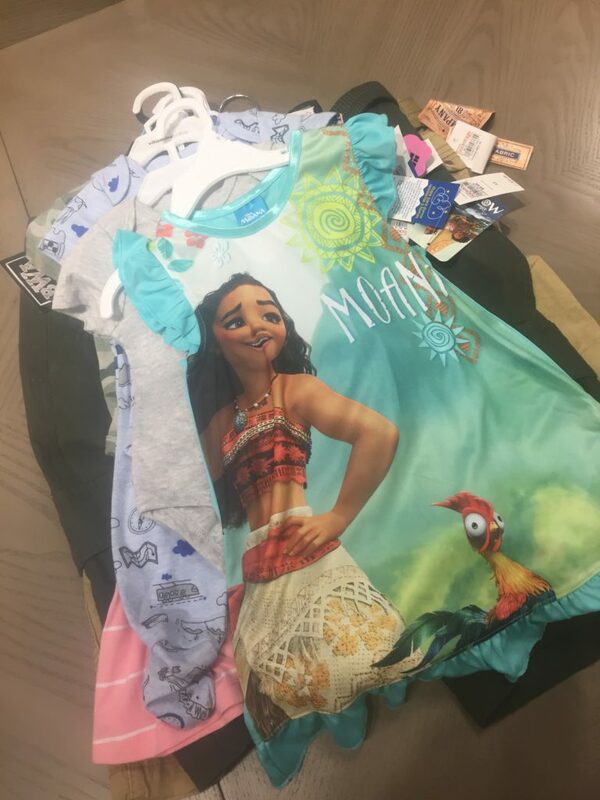 I was given a gift card to take with me on my visit and between Ava and Tommy, we made out like bandits from our little shopping spree! Ava got 2 dresses, 2 night gowns, and a couple pair of pants, while Tommy got 2 pairs of shorts, a few tops, and socks. 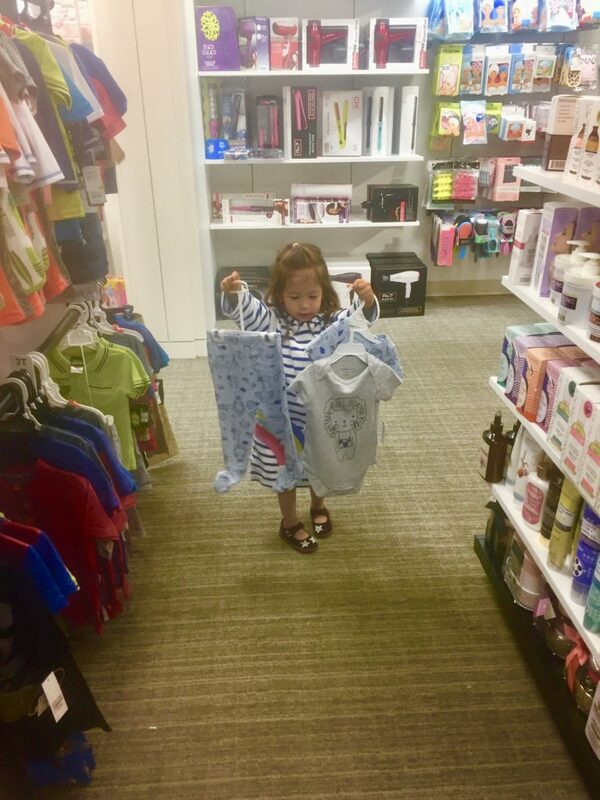 We also let Ava pick out a toy from the Toy section! 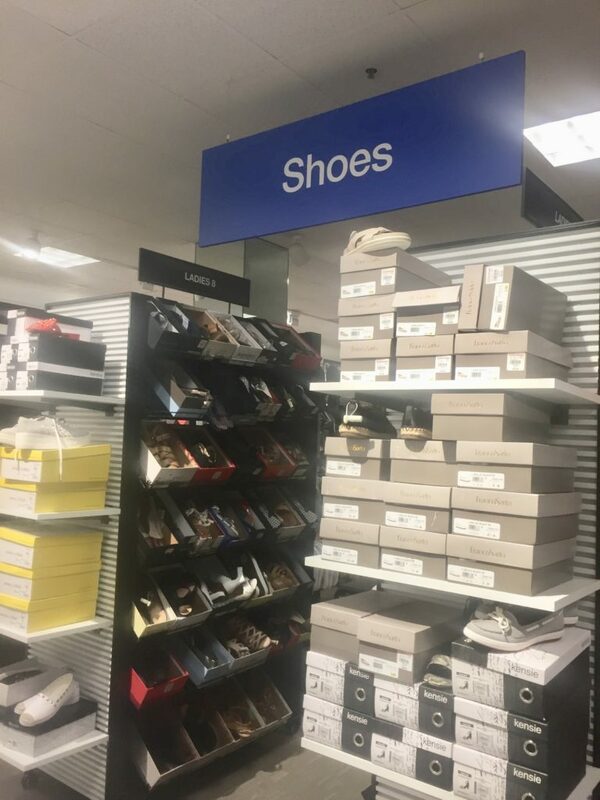 I would definitely come back to Macy’s Backstage to see what their latest and greatest is in the store. I wished I had more time to peruse the home decor aisle, but I had a couple of antsy shopping partners with me. 😉 Thanks for hosting us Macy’s! 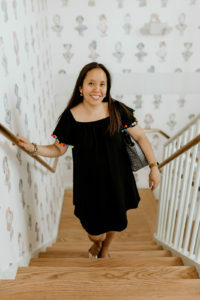 Now here is your chance to win a $100 gift card to Macy’s Backstage – either leave a comment below saying what you would buy with this gift card and either follow me on IG (Mayapapaya612) or like my FB page. I’ll randomly choose a lucky winner next week! I would buy some cute summer flats with the gift card.